Whether you are a professional or just love dogs, this course is for you. You will learn about canines in depth, study their biology, health needs, breeding, behaviour, training, grooming and more. This course is online, 100hrs, self paced study. Suitable for: dog trainers, groomers, animal/pet carers, dog lovers, shelter workers, professional dog walkers and pet shop employees. Determine the typical daily needs of a dog, both physical and psychological. Discuss the nature and scope of services available to dog owners. Describe the internal and external anatomy of a dog. Explain the standard physiology of a dog. Identify common health issues that impact on a dog’s health, wellbeing and longevity. Determine appropriate measures to prevent problems arising or respond to problems in the first instance when they do arise. Describe common ailments and optional treatments for those ailments. Compare differentiating characteristics across breeds of dogs, including both desirable and undesirable characteristics. Describe how dogs are bred and how the purity of breeds is controlled. Discuss the dog breeding industry and how to operate a dog breeding business. Explain ways in which dogs can be trained. Discuss how to successfully operate a dog training or behavioural consultancy business. Explain how to groom a dog. Determine how to successfully operate a dog grooming business. Explain the scope and nature of a wide range of products and services involved in the dog industry. 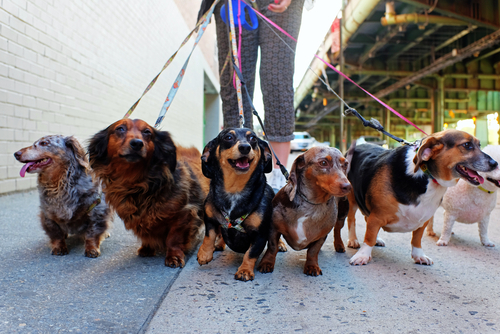 Determine how to successfully operate a range of different dog service businesses.